Welcome to our Foundation Class Page! Welcome back! It's Term 6 already!!!!!!!! We hope you all had a wonderful May Bank Holiday Break. Our topic for Term 6 will continue to be be 'Amazing Earth'. We will be examining the amazing world we live in, beginning with our immediate environment and local habitats, before looking further a field. We will continue to watch our resident tadpoles develop and hope to successfully incubate some eggs to hatch our own little chicks - they are currently in their incubator at Mrs Lyons's house. In July, we are planning a trip to Hamerton to explore wildlife conservation and meet some exciting and less familiar animals face to face! More details to follow! We are watching the children operate independently now and will be encouraging them to sequence and communicate their learning to us and demonstrate their physical skills. We will continue 'Forest School' in our wildlife area and our PE sessions will continue on Monday afternoons and will be outdoors wherever possible. We shall also incorporate a series of mini topics that include themes that the children have chosen to explore, keep an eye on our daily information board for more details. Our more formal morning learning will continue to include reading, writing and mathematics whilst the afternoons will be more free-flowing, self-initiated and creative. Our writing focus is to provide lots of opportunities for children to write down their own ideas unaided, using their phonic knowledge...we will also begin more formal handwriting lessons this term. It will be busy but as always, very very fun! Your input and observations are invaluable to us so please do continue to share anything of interest or significance in the learning logs. We love to hear your news! 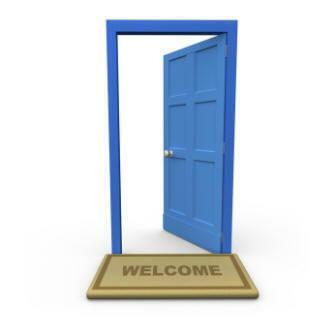 As always, our door is always open to you and we look forward to another fantastic term working in partnership with you! We couldn't do it without your support and we thank you for all your kind words and feedback! We found out about a May tradition last term that welcomes the Spring! We also had a lot of fun! People who help keep us safe! Helping With Phonics at Home! Can You Dig It ? ... Yes we Can! Nothing to see here...Mr. Gooding!